Home › Homeware › Retro Kitsch is the New Chic! 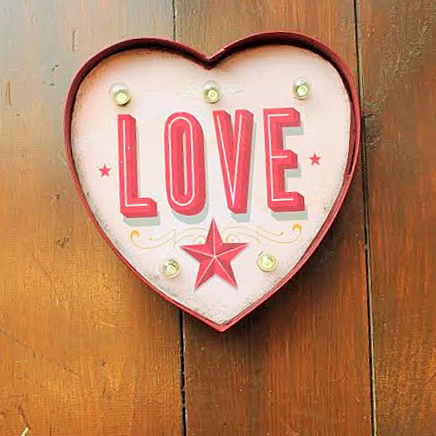 At Source we love retro style wall art and we have just added the brilliant heart light up signs by Temerity Jones. Our new light up signs collection inspired by the retro kitsch American Style is the new chic that will definitely make your space stand out and add a little bit of vintage charm to your house. 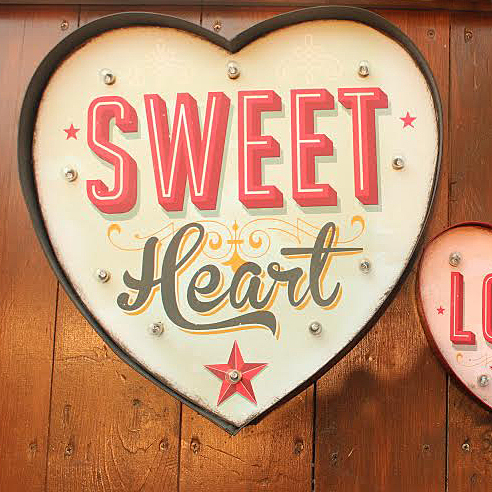 These super cool metal signs by Temerity Jones are finished with warm light bulbs for an atmospheric glow. 27 Pings/Trackbacks for "Retro Kitsch is the New Chic!" Excellent way of describing, and fastidious write-up to get info about my presentation subject make a difference, which i am heading to express in college. When I to begin with commented I clicked the “Notify me when new comments are added” checkbox and now each and every time a remark is added I get 3 emails with the exact same comment. Is there any way you can eliminate me from that service? Thank you! Great put up! We will be linking to this great submit on our web site. Keep up the excellent creating. Just beneath, are a great deal of totally not connected web websites to ours, however, they could be certainly actually well worth going in excess of. What’s up it’s me, I am also visiting this internet site on a regular foundation, this web site is actually nice and the viewers are truly sharing excellent thoughts.